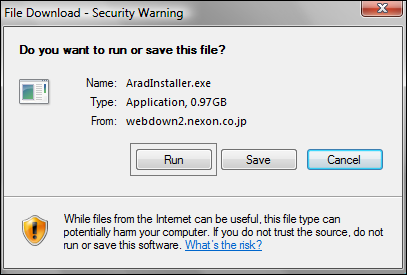 I'll be showing how to download, install, register for, and start Arad Senki. I'll also be telling you where and how you can download a VPN. A VPN is needed in order to play the game. I'll be posting pictures, along with information to help you with what you need help with. Its taken me hours to just take the print screens only, so I hope you readers enjoy this long but helpful guide. n.n Beware of the pictures! Some of them are pretty large. Oh, and since this guide is long, it'll be divided in posts (by section). 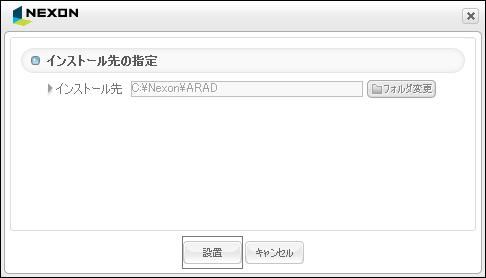 01; Visit Nexon's official Arad website here. 02; We'll be downloading the game first and then we'll register for Arad. 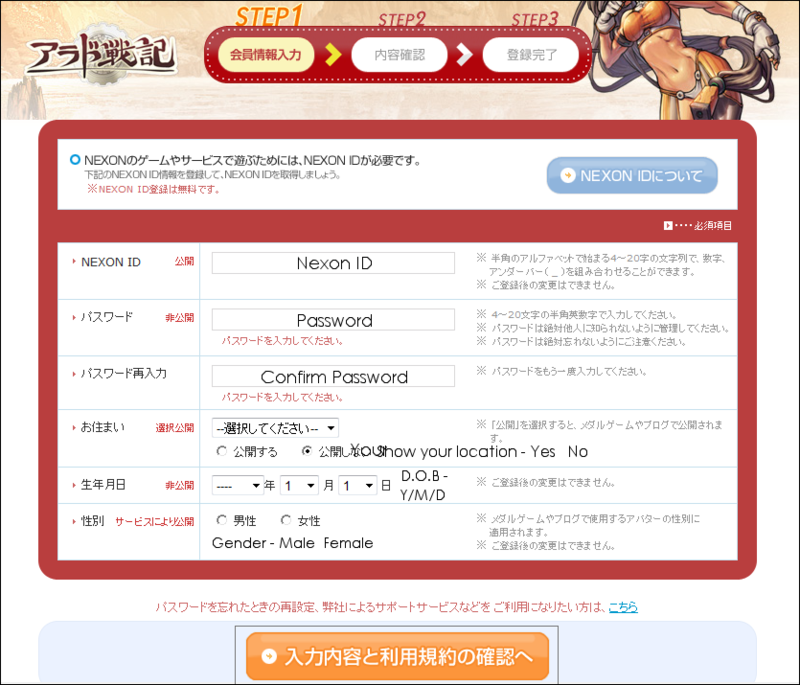 This way, after signing up, we would have a little bit of information downloaded. "Better than nothing" is a phrase I like to use a lot. Search for the image below in the Arad button. 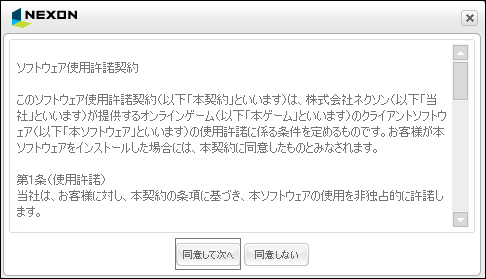 When you find it, click on the Japanese writing below the big blue button. 03; After the new page loads, scroll all the way down until you're at the bottom. Try to find the image below. Got it? Click on it. 04; After doing step "03", your download will pop up. Click on the Run. 05; After clicking on Run, it'll start downloading. Note: Now is the time to read the next post in this thread to find out how to register for Arad. We'll come back to finish when you're all signed up. Once you're back, if it's still downloading, just wait for it to finish. If it's already been finished, continue. Once it's finished, let it do what it needs to do. The window will then show this. Just click on the Run button. 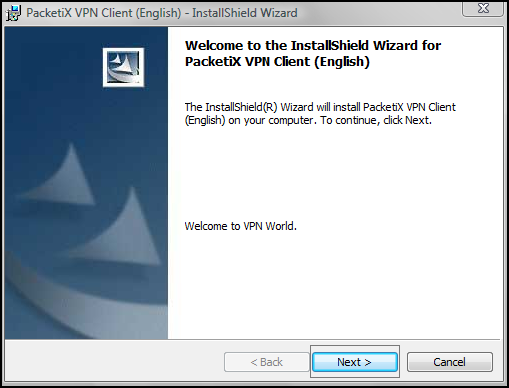 06; You will then see the installer's first step. Just click on the left button. 06; Again, click on the left button. 07; The installation will now begin. It'll look like this. 08; After the installation is finished, you will then get a small window. This means the installation was complete. Click on the single button to close it. 01; Go to the Arad website. 02; Search for the image below in the front page. It's on the right side of the page. When you find it, click on the big red button. It'll take you to the page where you'll sign up. 03; You'll now have to type in your information. Follow the words in the image below to know what each field is asking from you. Note: I forgot to add the words on one of the fields. Search for the field that doesn't have any writing next or on it (my writing). When you find it, click on any option; it basically asks for your location. After filling out everything, click on the orange button that's shown at the bottom. 04; When you click the button, you'll see the information you've written. It'll look like this. At the bottom, you'll see one of those confirmation boxes. Just type in what you see. 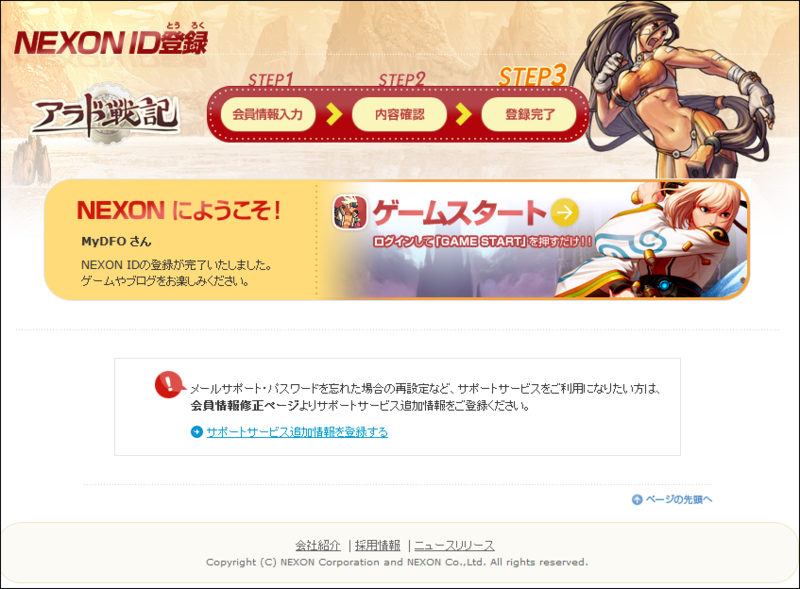 05; After typing in what you see, scroll down and you'll see Nexon's ToS. Search for this button and click on it. 06; You will now be seeing this page. 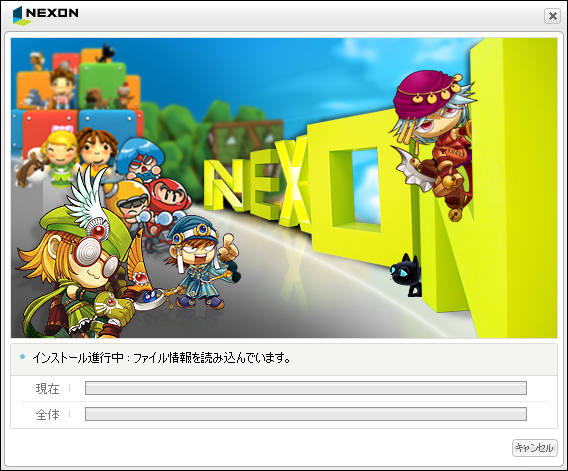 That means you registered for Nexon. Good job! Now, go back to the first post where we left off. 01; Go to the VPN's download page. 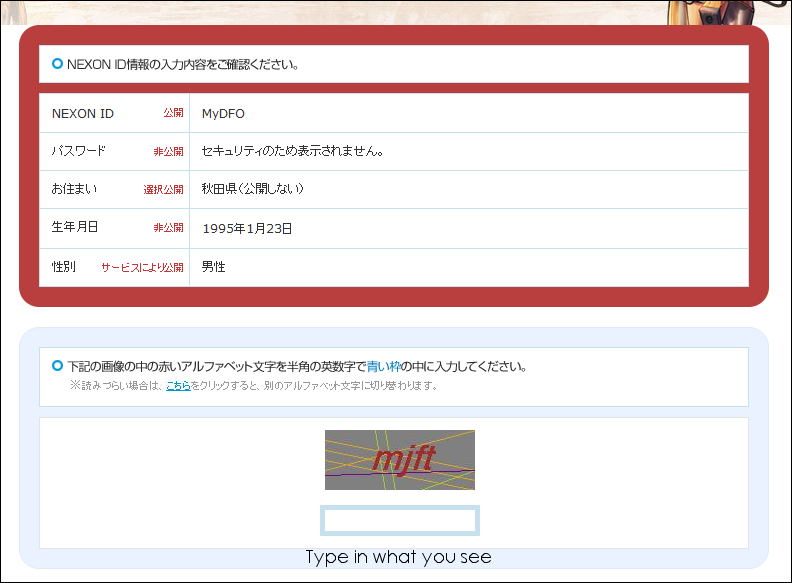 02; In the download page, type in the letters and numbers that it asks you for in the box. It's on the top - right side. 03; After doing that, you'll see two download options. Pick the appropiate one for you, and the download will pop up. Click on the Open button. Your download will then begin. 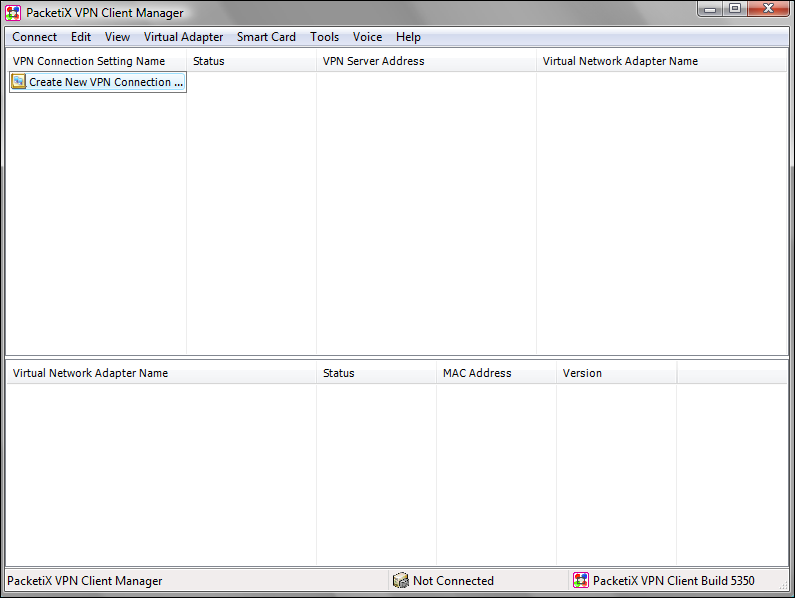 Note: For me, Winrar is opened with the download when I download things like the VPN. If you don't have Winrar and opening the file after downloading doesn't look like the next picture, just try to do the same thing I do if you can. 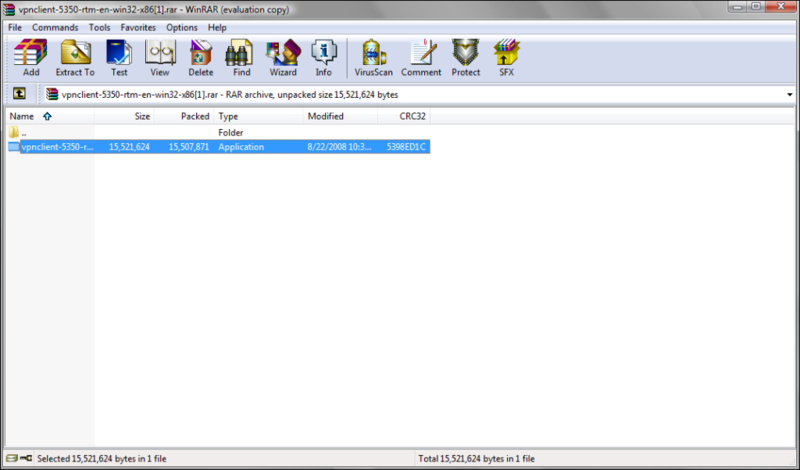 04; After downloading, Winrar will open up. It'll look like below. Double click on the highlited program. 05; Installation will then begin. Just keep pressing the Next button. 06; Soon you'll reach the license agreement. Make sure you press the Yes button. After that, again, keep pressing Next. It'll soon install and you'll be finished. 06; Now you'll want to search the program in your desktop. Try to find the icon. It looks like this. Once you find it, double click on it. 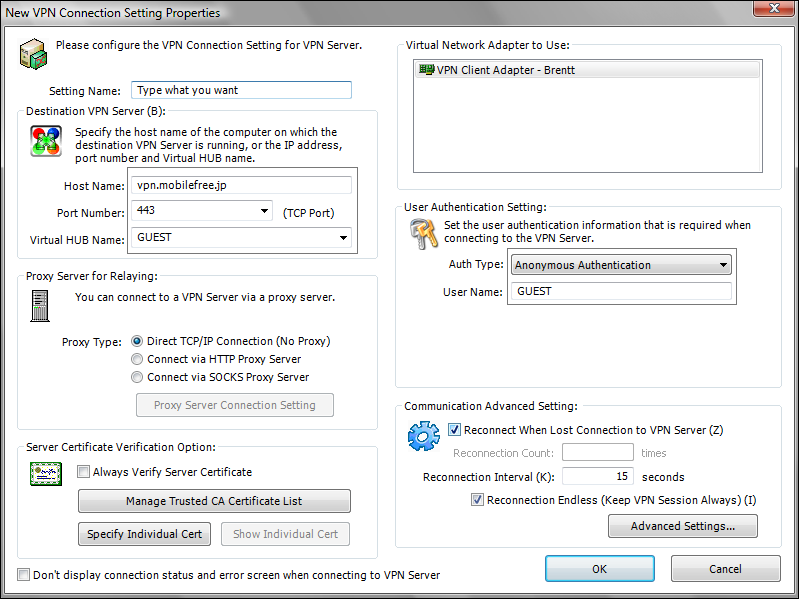 07; The VPN will then open. 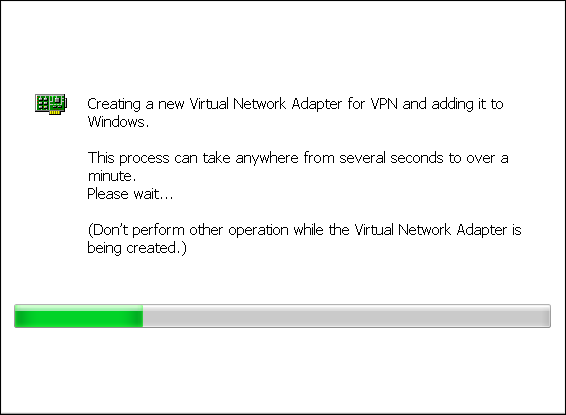 Double click on "Create New VPN Connection"
08; Oh no, we need to make a Virtual Network Adapter first! So, start making one! 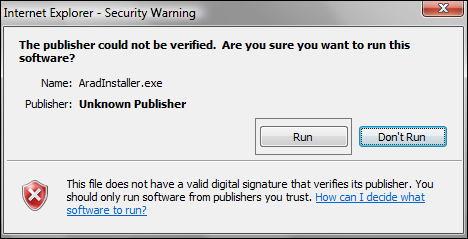 Click on the Yes option. 09; A new window will show up. You have to give it a name. You can pretty much type in whatever you want. 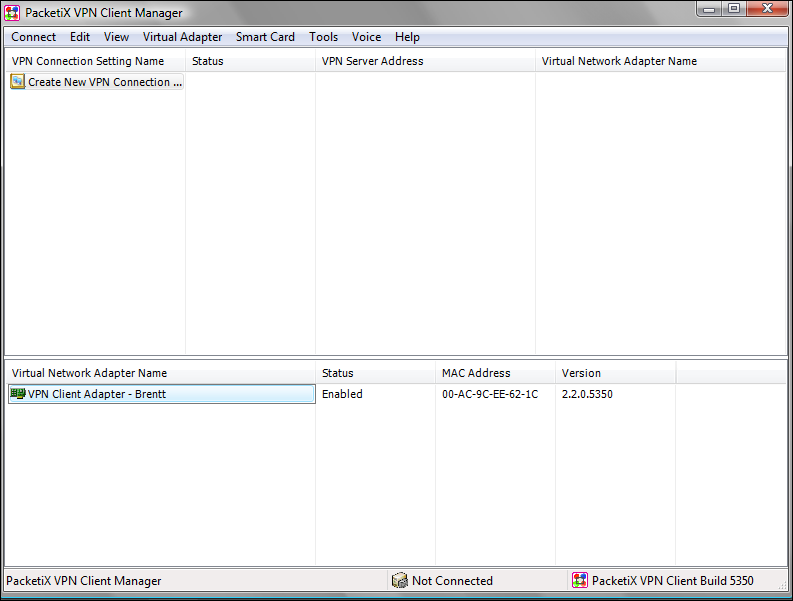 After that, click on the OK.
10; The Virtual Network Adapter will then start creating. Make sure to do what it says. 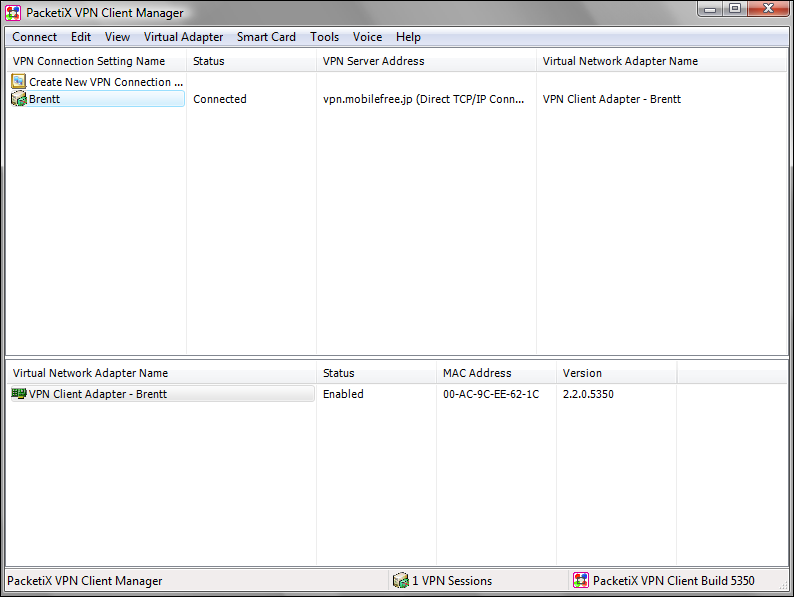 11; After it's made, you'll see it in the VPN Client Manager. Now you can make the VPN connection. 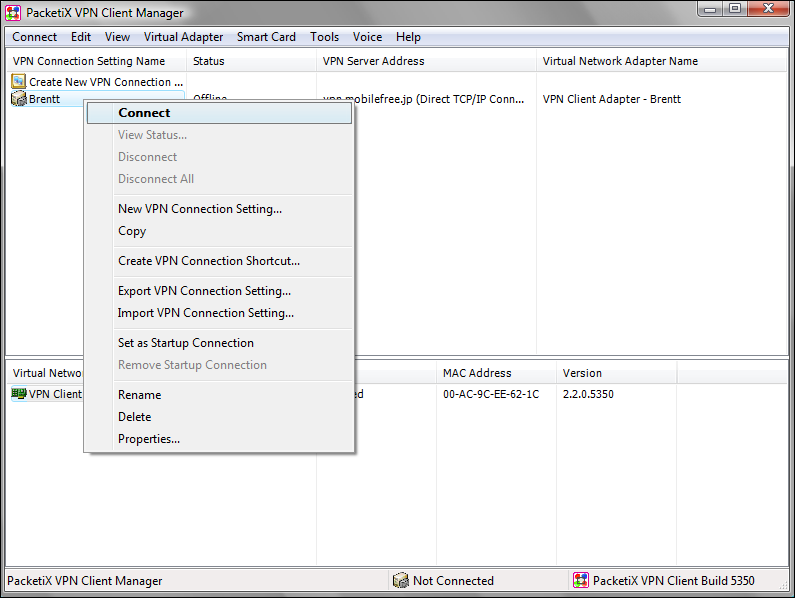 Double click on the newly - made client adapter. 12; After doing that, the settings will show up for the connection. On the fields that has the big gray box around it, you have to type in the exact same thing the image has. For the setting name, though, you can type whatever you want. After doing that, click on the OK button. 13; Now you have the connection. To connect to it, right click your connection and select on Connect. 13; You are now connected. That means you can now start Arad! 01; Go to the official Arad website. 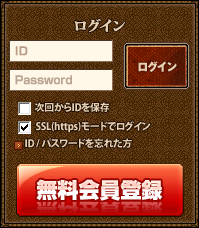 02; Log in using your account you made earlier (assuming you did). When you see it, click on it. Note: If it's either your first time clicking on that button with the client, or you uninstalled it and installed the game again, you'll have to go through a patch. It's pretty fast if you have high speed Internet, though. This guide may not be placed into any other website without my permission. You must first contact me in the myDFO or via email to get my consent of reproducing my guide. All I ask in return is to thank and credit me, the original author of this guide, and to provide the link to the guide itself. It would be a violation of copyright for you to duplicate this document without my consent and not giving the credit to its original author. All trademarks and copyrights contained in this document are owned by their appropiate trademark and copyright holders. Thanks for reading (if you were)! I'll try this later since i was unsuccessful with chinese dnf. Ask for my help if you have any problems and I'll try to help you. When your creating the nexon ID (where you fill in the name,password,ect.) are there any specifications for the ID name and Password? When I click the orange button it takes me to the top of the screen and there's red text. Don't go off topic please. That does sound like a computer problem. Are you sure it's not anything like your Internet connection? Using my common sense, I think it would either harder or impossible if you try to make one with a plugged in connection. I use wireless, so I didn't go through any kind of blue screen. Brentt wrote: Don't go off topic please. Maybe, i do use a wired connection. I also get a Blue screen if I stay on these forums for an extended period of time. Like....around 5-10 minutes. Also I get a blue screen occasionally while playing poker on myspace which can get annoying after betting all in on a winning hand then immediately losing all my money cause of a blue screen. Those are all internet related tasks so it could possibly be an internet problem. It seems like this download is goin smooth so far. I might be able to play the DFO [jap] after a little while. Are you talking about this blue screen? @ Blak Doxa: sure thing! Unfortunately that wasn't it, The blue screen said something about a a clock interrupt and the secondary processor and i saw the word "interval" in there somewhere. *has horrible short term memory* ._. Yeah, that's a Blue Screen of Death. On computers, that happens when your computer gets a really bad errors and it gets turned off so it won't get damaged. I would say to have that laptop checked out, or search for solutions on Google. btw how for did you get Brentt? How difficult? Playing your character or the actual basic things in the game (NPC's, windows, etc.)? Uh, I had a female gunner. Made it to level 13. Got bored with it. Now a few hours ago I made a soon - to - be Witch. She's level 6 at the moment. For now, I know what skills I'll be picking for my Gunner in CB, and I'm still experimenting with my Mage's skills. The NPC and questing are kind of hard but sometimes I get lucky in a dungeon that happens to have a quest there. I've messed with a couple of other classes (to gain info) but my focus will be on slayer now. If you're going to do the quests, do the gold ones, not the silver ones. Click here to see the steps you need to do for completing each one. If you want a download version, then click here. But you should know that they're not in order. Like, Quest # 4 won't be the fourth quest that's shown. One strategy that I use to check what quests it is, is to see the number of steps there are. If a quest has 8 steps in total, I check in the download version to see what quests have 8 steps in total. There has to be some kind of class change quest. If you need the class change quest, go to DNFwiki, scroll down until you see the words Class Change Quests in bold. I don't know if you meant that; I didn't really understand you. I think you got it right, cause I believe the classes do some sort of quest to go to next job at 18. And you provided just that for him to find the quest and advance to next job. lonelyazn wrote: I think you got it right, cause I believe the classes do some sort of quest to go to next job at 18. And you provided just that for him to find the quest and advance to next job. I meant Blak Doxa's question. I'm thinking he was saying something else.